These days i’m on the look for cocktails including pisco, and the F&W magazine website is always a great start. 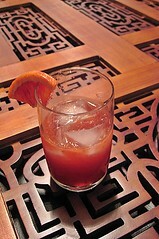 I chose some nice sounding recipe: Vermouth Sin Nombre for tonight but Wegmans had only blood oranges. I hesitantly picked one but actually it was a perfect choice! Now i never met a creme de cacao cocktail i didn’t like but this one came out truly amazing! 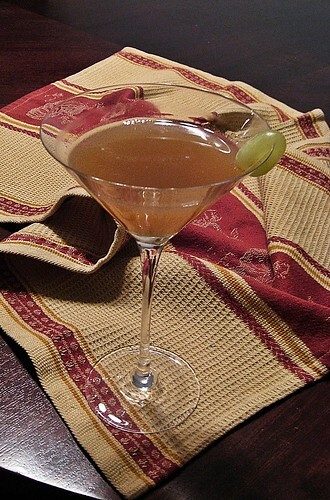 And so harmonious, each of the ingredients contributing to the final complexity of the drink. You can probably discern their flavors only if being told of the contents. 1. 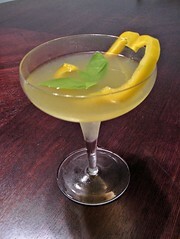 In a cocktail shaker gently muddle two bell pepper rings and 3 basil leaves. Add remaining ingredients. Fill shaker with ice and shake vigorously until very cold. 2. Pour drink through a fine mesh strainer into a chilled cocktail glass. Float a basil leaf atop drink. Balance a bell pepper ring on rim of glass. Ok so i’m officially on the roll today. Great success with my Love Unit drink and now this. So here is my shepherd’s pie variation. 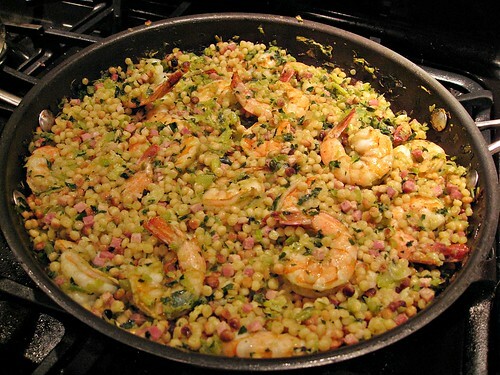 IMHO fregola is the tastiest version of couscous. 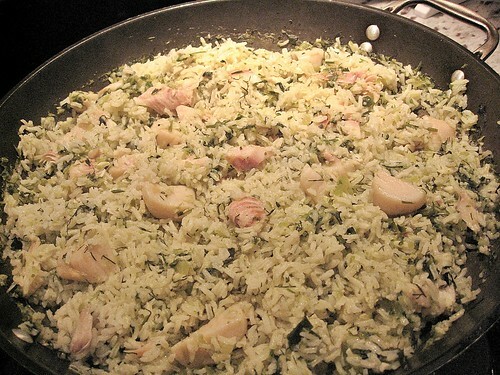 For the dinner tonight the point of departure was couple recipes in Bugialli’s “Foods of Sicily and Sardinia” book. Took me less than half an hour to come up with a great dish! 1-1.5 cups of fregola cooked al dente. tiny dice (i pulsed the stuff in food processor) – leaves from a bunch of parsley, white part of 2 bunches of scallions, 4 celery stalks, 2 plump garlic cloves. 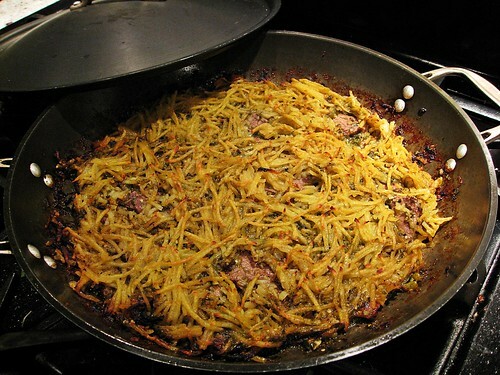 in a large skillet sauteed the battuto in olive oil with 4oz of very small cubes of pancetta on med heat. Increased the heat, added shrimp, roasted for couple of mins turning once, mixed in fregola, covered and put into 375F oven for 10mins.